When it came time to start writing this review, I already had a great time using this mouse. I got used to it quickly and the shape of it is comfortable. I have not had a mouse with a screen on it for years, but it was nice to see one right on the side. Usually, a screen on a mouse is a bit much, but Cooler Master made it useful by giving it so many different display options, ranging from game statistics to CPU and GPU usage. This is all really cool and great to have, especially for enthusiasts. Unfortunately, the D-pad did not perform so well. The buttons are in the perfect position, making all four of them easy to reach with your thumb, but the buttons are stiff and hard to press, especially in the midst of a chaotic game. For some reason, I could not even map the keys to any controls in some games. Only in DOTA 2 was I able to use two of the four buttons. The Cooler Master MM830 does have a high DPI count, which can be programmed up to 24,000, but only in increments of 200 DPI. The sensor is great as one would expect from a flagship PixArt sensor. It is accurate and responsive. When it came to performance, the MM830 excelled in all of the tests we performed. There is enough Teflon on the bottom for the MM830 to easily glide across a mousepad, ensuring a smooth experience. Furthermore, the Omron switches were great and should last a lifetime. The same build quality found in the Omron switches is found throughout the mouse. Even though the majority of the mouse is made from plastic, it was made out of quality and sturdy plastic and should not easily break. The RGB LEDs are bright and reproduce color effectively and accurately. These LEDs can be easily configured in the software, giving the user the full range of colors to choose from. With an MSRP of $70 USD, the MM830 is not cheap, but with the included features is actually quite reasonable. Many mice with less features are much more expensive, so the MM830 is an excellent choice to some other more expensive options. Overall, the Cooler Master MM830 has some flaws, namely the D-pad, but it makes up for it in excellent performance. The Cooler Master MM830 provides excellent performance and adds a little more with an OLED screen. 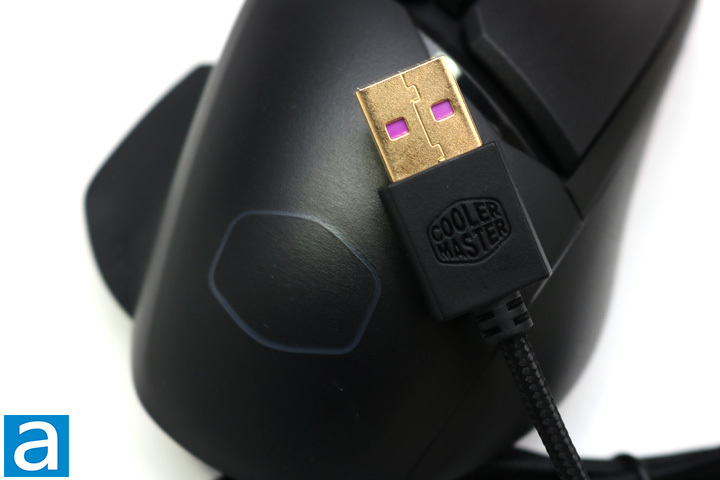 Do you have any comments or questions about the Cooler Master MM830? Drop by our Forums. Registration is free, and it only takes a minute! posted 5 hours and 7 minutes ago, with 1 posts. posted 5 hours and 8 minutes ago, with 2 posts. posted 5 hours and 8 minutes ago, with 8 posts. posted 5 hours and 8 minutes ago, with 7 posts. posted 5 hours and 9 minutes ago, with 7 posts. posted 5 hours and 12 minutes ago, with 15 posts. posted 5 hours and 13 minutes ago, with 59 posts. posted 5 hours and 13 minutes ago, with 14 posts. posted 5 hours and 13 minutes ago, with 11 posts.